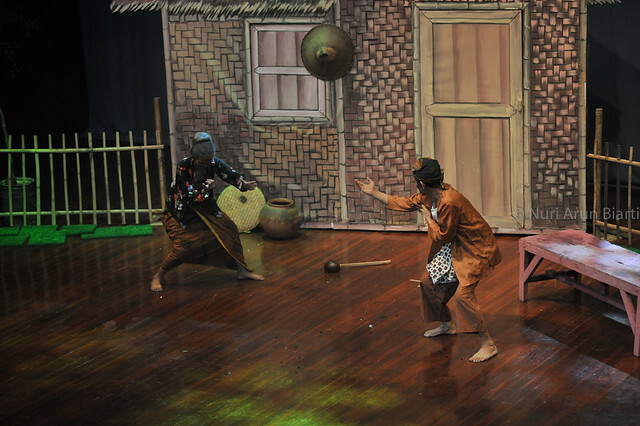 The Legend of Lutung Kasarung has been played in lots of arts performance. 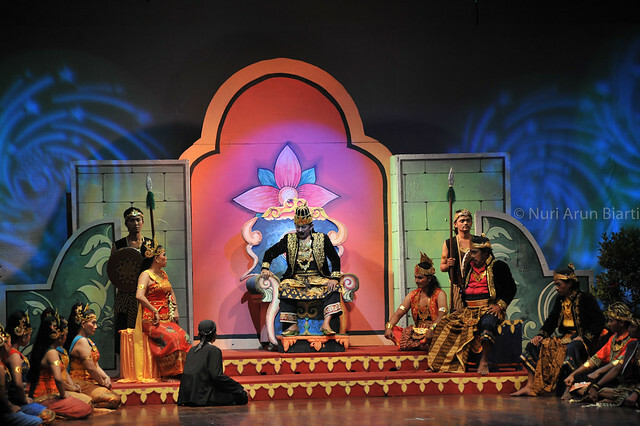 But this time, the story will be focused to Guru Minda, a knight in Heaven. 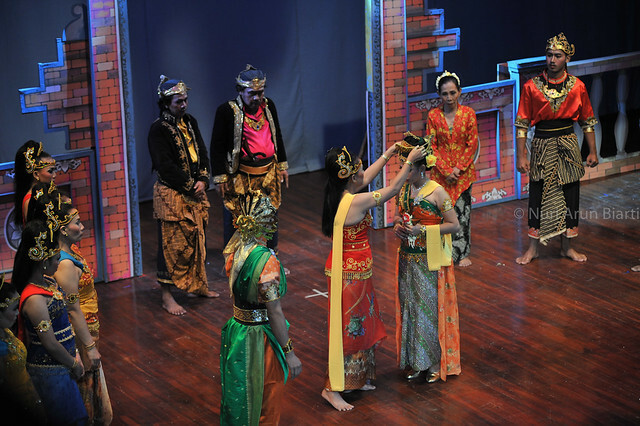 One day, Guru Minda thought he saw his dream girl who looks like his mother, Ratu Sunan Ambu. But when he chased this girl, she went into a forbidden park. 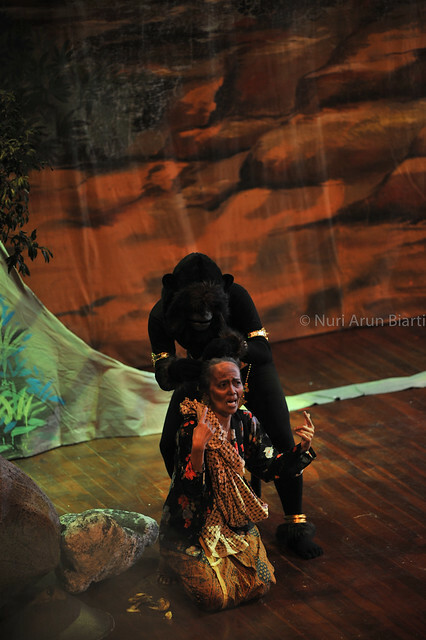 Guru Minda broke the barrier, so that Ratu Sunan Ambu punished him to leave Heaven, and ask him to search his dream girl in Marcapada, and also changed appereance of Guru Minda to become a monkey (black ape). 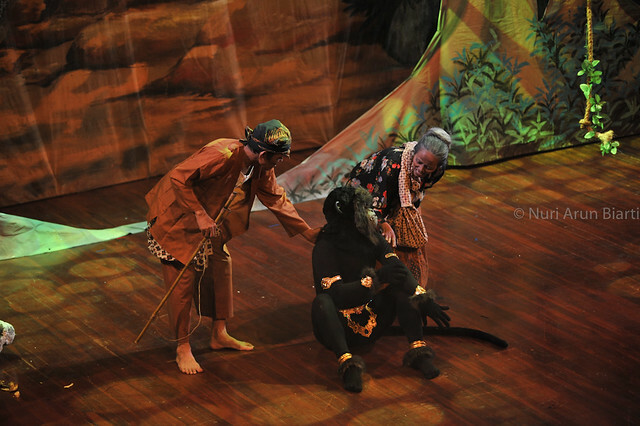 Lutung Kasarung (the lost black ape) then begin to search his dream girl, and finally meet her in Cupu Mandala Ayu Mountain, as the forecast of his mother. 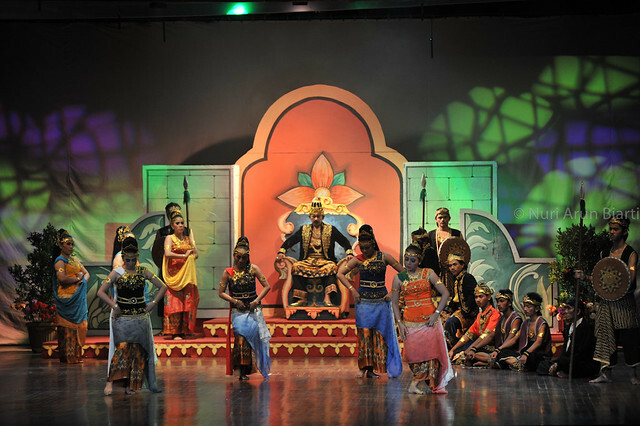 His dream girl named Purba Sari, a princess of seven from Kingdom of Pasir Batang. 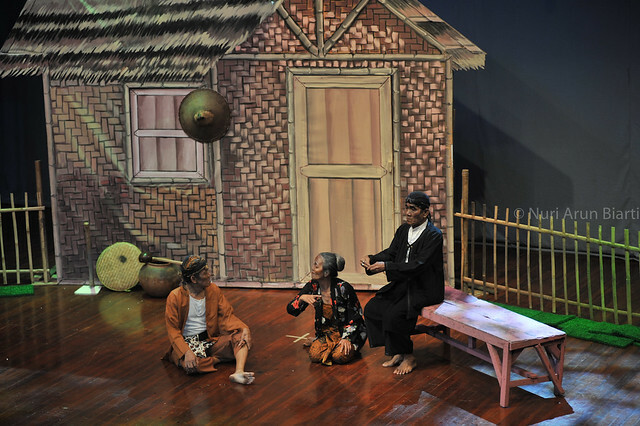 Miss Tjijih is a phenomenon where the theater troupe can survive within a very long time. this group has passed through various epoch and has encountered lots of challenges. 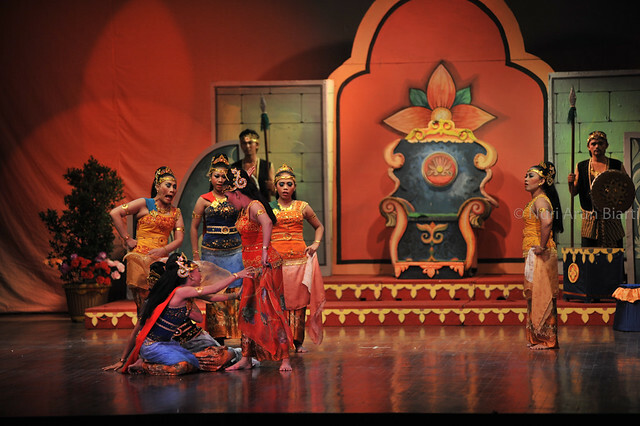 Miss Tjijih is established in 1928 in Jakarta, used to be Opera Valencia, this group used local language (Sundanese), Low Malay Language and Bahasa Indonesia in their performances. At the beginning, their leader is an Arabian named Aboe Bakar Bataqih. 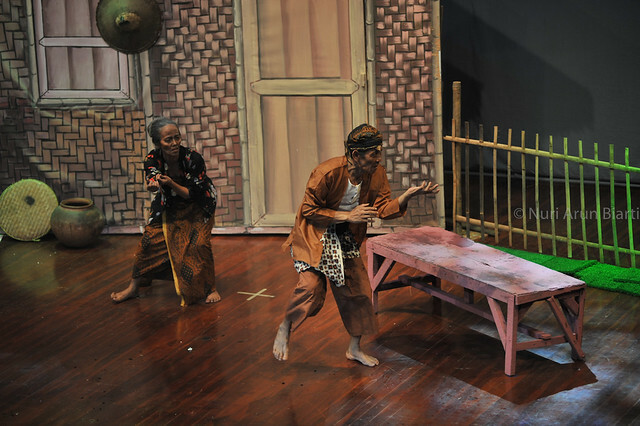 Kelompok Sandiwara Miss Tjijih has been through a long journey, from Dutch era to Japanese era, until the era of Democracy, located from Kramat, move to Muara Angke, then ended in Kabel Bendek - Cempaka Baru, with hobbled condition. 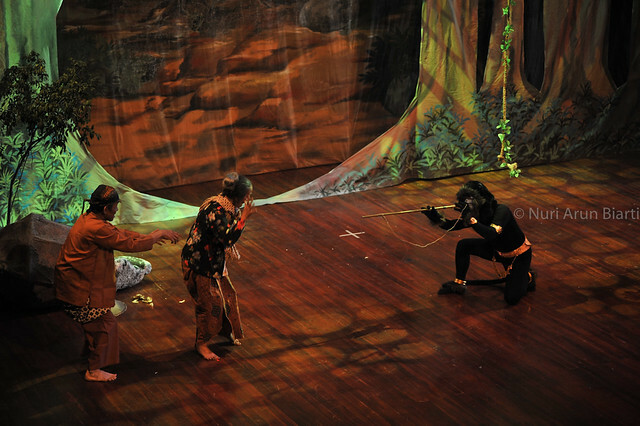 In the era of Japanese colonization, they play the scene from local legend and horror story, and can be said that they became main crew of the Japanese propaganda in order to showcase the stories from local history. Miss Tjijih herself is a beautiful woman, who has been on the stage since the age 17. She was not only beautiful, could act, but also had beautiful voice and she always sang classical songs. 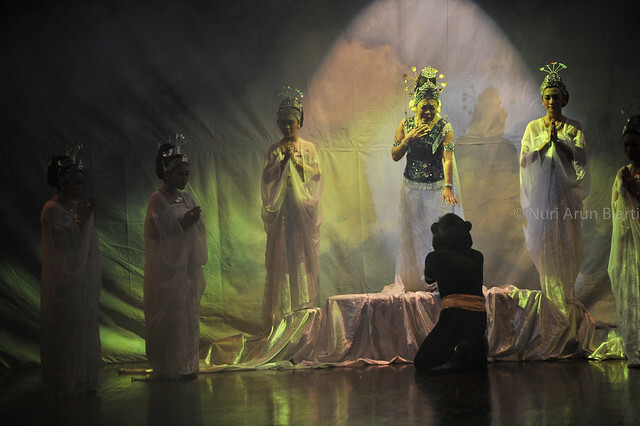 She is not only an actress, but also have a concern about the destiny of her nation by helping smuggling and helping the anti-colonial movement, at the other side, she loved arts. This situation made her having pressures both from the Dutch authority and from her loyal audiences. It caused her feel sick.